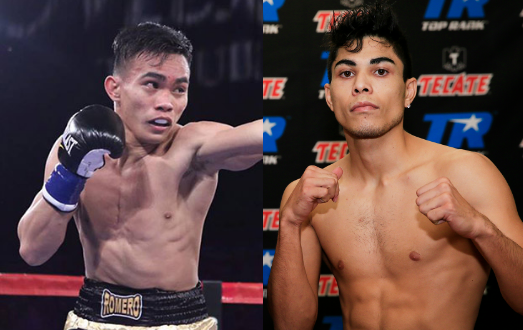 Filipino prospect Romero Duno is set to face the Mexican warrior Yardley Armenta Cruz on January 27, 2018 in the undercard of Jorge Linares vs Mercito Gesta WBA World title fight. Duno will fight in the USA for the 3rd time under his new promoter Golden Boy Promotions. Duno won via devastating 3rd KO, since that, after made an impact, Golden Boy sees a potential and immediately offered him a contract. Duno currently has a record of 15W(13KO)-1L and ranked 60th in the world by boxrec.com. On the otherhand, Yardley Cruz is a 23 years old boxer from Los Mochis, Sinaloa, Mexico. Has a record of 22 wins, 12 KO with 9 defeats. He was once defeated by Mark Magsayo in 2015 via 1st round KO and also knocked out by Matt Remillard in his last fight.